Consulting Practice - Robin's practice information for new patients. We know you are committed to becoming well, whether you are suffering from a relatively straightforward –but persistent- problem, or a longstanding chronic illness. We are just as committed to helping you, and it is through this special partnership that deeper levels of healing can be achieved. We are respectful of your needs and sensitivities. You must feel in control of your healing, and please feel free to question us on anything. Robin has thirty eight years of medical experience, with over thirty years of studying acupuncture, Chinese medicine, Eastern philosophy and MindBody healing. Please extract as much knowledge out of him as you can. In return, he will ask you to participate 100% in your healing programme. He will discuss appropriate (and often fun) exercises, which you can adapt with your own unique flair. 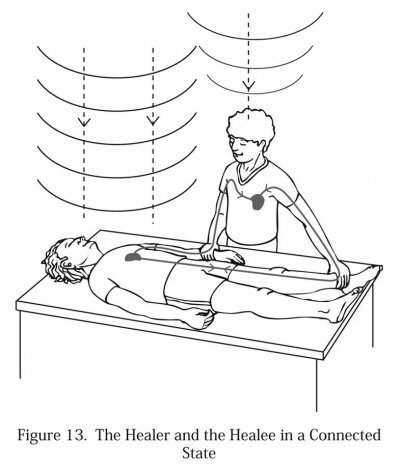 If acupuncture is used, it will be both gentle and interactive. It is merely a (very effective) catalyst for deep healing. Some people have a very real fear of needles. We understand this – Robin uses ‘no needle’ techniques on many people and he will discuss this with you. The partnership depends on respect from all parties. Please allow enough time to get here so you are not too stressed on arrival. If you have to miss an appointment, please let us know in advance. We will try to fill that time. Please understand that if you don’t turn up or you pull out at the last minute, we cannot use that time and so a cancellation fee will apply. The average appointment time is 30 minutes, with 1 hour and 15 minutes devoted to the first appointment for those with chronic, complex problems. Naturally some people require less time, but it is Robin’s experience that healing requires much time and listening. Over the past years his appointment times have doubled. All fees are GST inclusive. We are not a subsidised Primary Health Organisation practice - this is because our NZ funded primary health care system is presently built around short medical consultations, suitable for pharmaceutical prescribing but not for in depth enquiry, and facilitation of a deep healing process. As a result, we do not receive bulk 'capitation' payments from the government. There is no need to formally 'register' with our practice, and we encourage sharing care with your PHO doctor, if this is appropriate. Robin will discuss your individual needs at the time of the first consultation. Well-being and Life Counselling. 90 minutes. $250 incl gst. (Under certain circumstances this may be claimed as a business expense.) For details click here. Robin is also happy to discuss your health needs over a 20 min initial appointment also for $85. This will give you an opportunity to meet us, and assess whether we can play a role in your own or your family's health. Please indicate whether such a short initial consultation is suitable for you. Concessions: There are concessions for Community Service and High User Card holders. At present this constitutes a $15 reduction in the above fees. These are also concessions for children. ACC: At present there is a reduction of $35 in the above fees for documented ACC consultations. Medical insurance cover: Please check your policy. Robin is classified as a General Medical Practitioner. Some insurance policies provide extra cover for prolonged consultations, and acupuncture performed by a registered doctor. We may be able to help guide you with this. We appreciate payment on the day. Unfortunately, we have to impose a charge for late cancellations. Please appreciate this especially when booking your first/long consultation. Our holistic approach to healing integrates well into your pre-existing care. With your permission, Robin will correspond with your own doctor or health care professional. If you are keen to reduce medication prescribed by another doctor, then it is our policy to talk to him/her directly about this. We have always enjoyed cordial relationships with all local practitioners. We adhere to strict confidentiality. Any correspondence with other doctors, health professionals, agencies etc. will only occur with your permission. What to expect from your acupuncture treatment. • Acupuncture allows the body to heal naturally. It does not force the body nor does it suppress symptoms. • Healing is a dynamic process. Chronic problems take longer to resolve -often a couple of good days are followed by a bad day. This does not mean you are going ‘backwards.’ It may take a few weeks for a clear picture to emerge –although ‘breakthrough moments’ often occur early in the healing process. • A ‘breakthrough moment’ can be an unexpected instance without pain, or a short time when you ‘feel your old self.’ Make a note of these times, as well as a brief record of your good:bads days. • A small percentage of people experience a period of increased symptoms after their first treatment. This is usually brief in nature, and unlikely to occur after subsequent treatments. Rather than being a bad sign, this response is often of great value to both of us, helping us understand the problem more deeply. It often is followed by a more complete, and early resolution of symptoms. • Pains may shift to new areas in the body. Again these effects are usually brief, and often herald rapid healing. • ‘Old conditions’ may seem to reappear briefly, but usually the symptoms are mild and fade. Please feel free to contact us if any of these responses occur. An accurate medical diagnosis is of the utmost importance at all times. Robin will be available to discuss this with you. Treating symptoms as your body’s messages –the MindBody way. Often, however, previous therapies have been aimed at eliminating the symptoms of dis-ease, rather than searching for deeper causes. These messages are almost always giving us a major clue to underlying issues, which lie at the root of your problem. Attempts to silence the body have probably been unsuccessful. It is as if your body’s intuitive processes have been talking to you through your symptoms of ill health. So we do not plan to tell the body to stop communicating . We both need to gain greater insights into what exactly is happening -and this is just as important for those who have been given a definite physical diagnosis, as for those who have been given no satisfactory label. Together we will try to make sense of your body’s messages. Robin combines a traditional orthodox approach with more holistic models. This process is not just about ‘fact finding.’ Tuning into the body’s messages is the first, and usually major step on your self-healing journey. We can then devise a healing plan, which totally honours this process. We may use gentle acupuncture to ‘get the ball rolling.’ This is not a symptoms suppressor, but can be a very effective gateway to the healing process. The symptoms will diminish when the messages are listened to, and a plan is initiated. There may be a place for on going discussion about life situations, joint counseling with a spouse or family member, or participation in a MindBody group. Gentle therapies ie Bach flower essences, massage are often great supplements to healing. This exercise employs, and adapts, a technique that is commonly used by elite athletes to maximise their performance. It is also gaining respect as a potent MindBody exercise, based on a growing appreciation of how expectation and conditioning affect healing outcomes. During your session here you will be given the opportunity to lie in a peaceful, balanced and relaxed state where the focus is totally on your healing. It is likely that the gentle acupuncture, and guided abdominal breathing, will have aided you into achieving this pleasant state. The next step is to IMAGINE yourself in a totally healed and joyful state. Go with this FEELING of joy and lightness. Let it surround and engulf you. Allow yourself to be healed in the NOW. The effectiveness of this visualisation exercise depends more on the QUALITY of the feeling, rather than the length of time spent in this state. So keep it FUN AND SIMPLE. If you wish, discuss the experience with Robin before you leave. 1. It may help initially to remember a time or a place when you were in this state, maybe with someone who makes you feel this way. CAPTURE this special feeling. But remember, the essence of this exercise is to BE in this state in the present. 2. If your mind wanders towards problems in the past or the future, return to this feeling that you are totally well in the HERE and NOW.